For many people in the U.S., owning your own home is part of the American dream, but the process can be daunting. Large loans like mortgages have a set of processes and a commitment level that can intimidate first-time buyers, but with these tips, you can get through the financing, search and application process with ease. When you decide that owning a home is a life goal, you will first need to assess your finances. Typically, mortgage loans require a cash down payment before approval, which means you may need to save until you have a suitable amount ready. The average down payment typically needed to be eligible for the best interest rates is 20 percent of the sales price. For a home listed at $200,000 you would need around $40,000 saved as the down payment. After you set your savings budget, determine exactly what you need in a house and separate those factors from what you want in a house. For instance, if keeping or decreasing your work commute is a priority, then a location near your job site is essential. Factors that may not matter as much to you should be relegated to a nice-to-have list, like a finished basement, or hard wood floors. After considering the down payment and critical home features, the next stage of home buying boils down to how much you can afford. Once you have recognized the total amount you feel comfortable spending on your home each month, add up the local and average costs of the above factors. That total should be subtracted from what you feel comfortable spending on your home each month and the remainder is your ideal monthly mortgage payment amount. 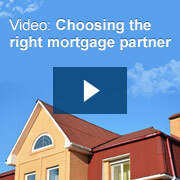 Before you start the home search process, choose a mortgage lender to help you navigate the process. Finance professionals will help you choose the right mortgage, and will let you know the amount of home loan you qualify for through pre-approval. Obtaining a pre-approval loan amount kick starts your search because it can act as a budget reality check, while also demonstrating to sellers that you are serious about purchasing. Professionals can also help you find governmental assistance programs for first-time home buyers, and will provide information about home prices and the buying market in your area. With these tips in mind, you can begin your home search armed with information about your finances, the market and the exact features you need in a home. For more information on searching for a home, visit our News & Features section.